if i'm being honest, i've never been good at following through on new years resolutions. it's REALLY easy to make them, but actually doing them.. eh. 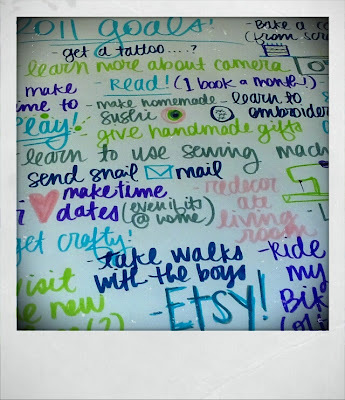 a few years ago i got the idea from elise blaha to make a list of things i wanted to do before my next birthday. it started as a '29 things before i'm 30' list. (it'd be 31 things this year, just in case you are curious.) and while i'd love to cross 31 things off a list, truth is, i feel like it's not very realistic for me this year. i'd rather be successful at a few things, then end up being overwhelmed & disappointed in myself. 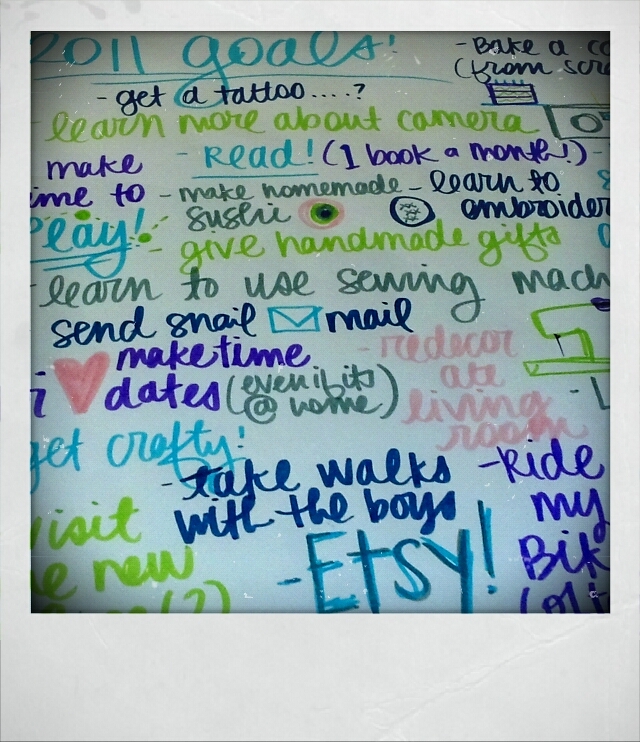 i was coloring with the dude yesterday & started doodling a list of ideas for 2011.
so what's on the list you ask? -bake a cake. from scratch. stop talking about doing it & DO it! there are a couple of other things on the list.. but you get the idea. instead of thinking about it as a list of resolutions, think about it as a life 'to do' list. a sort of short term 'bucket list' maybe? somehow that makes it seem less intimidating.. doesn't it? i invite you to make your own list & link it up in the comment section. i'd like to see what's on your 'to do' list next year. craft projects? trips? home makeovers? personal goals? let's see it all!